Belgium’s green parties – Ecolo and Groen – have officially launched a research project into the possibility of staging a second car-free day in Brussels. 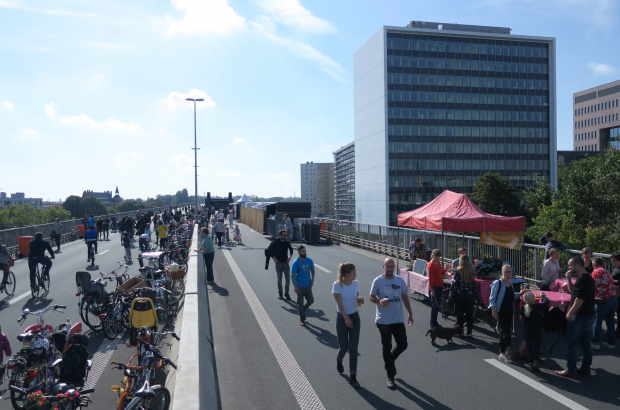 The annual car-free day that already takes place every third Sunday of September is extremely popular. The two parties would like to see an additional car-free day take place on a weekday. This way, they say, residents can clearly see what public transport has to offer them. Car-free day also has a measurable positive impact on air quality. The parties have submitted a request for the impact and cost of a second event to the police, Stib and Brussels Mobility. Mobility minister Pascal Smet’s office supports the idea of an investigation into the options. Why not have a car free day every week?